Here's the opening scene and song from Better Dead Than Red, a short film noir musical comedy about New York's worst detective who is hired to solve America's hottest case and stumbles upon a Russian plot to sway the 1952 presidential election. Here's the song "Women!" 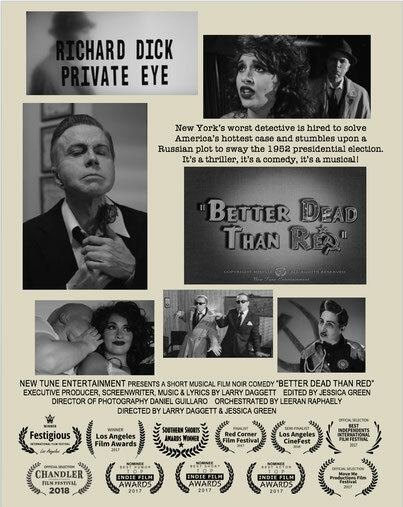 from Better Dead Than Red, a short film noir musical comedy about New York's worst detective who is hired to solve America's hottest case and stumbles upon a Russian plot to sway the 1952 presidential election. Here is Mary Jo McConnell's interview after Better Dead Than Red won the "Best Musical" Category at the Southern Shorts Awards Film Festival.